Houzz 89 of our visitors have told a friend about this plan. Summer evenings were the best! We’d play for hours while mom relaxed in her favorite spot. To this day, I can still hear the wind off that old frisbee. When I return home, it’s like I never left. Memories made while living in our home always make me smile. 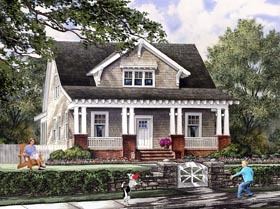 Question: I am considering buying this plan but would like to see the side elevations first. Can you provide images of those? Answer: At this point, we do not offer side elevations for veiwing online. I'd be happy to describe the sides if they would like further detail. Question: On the rendering of the front it look like the kitchen window and the bedroom window match, but does this mean the kitchen window goes below the counter or the bedroom window is higher than normal? Also, which wall carries the plumbing up to the second story bathroom? Thanks! Answer: The HVAC and plumbing are done per builder and code requirement. The artist rendering is just a rendering of the design and is as close as possible to the build itself. Question: What is the roof pitch? Question: What is the second floor ceiling height? 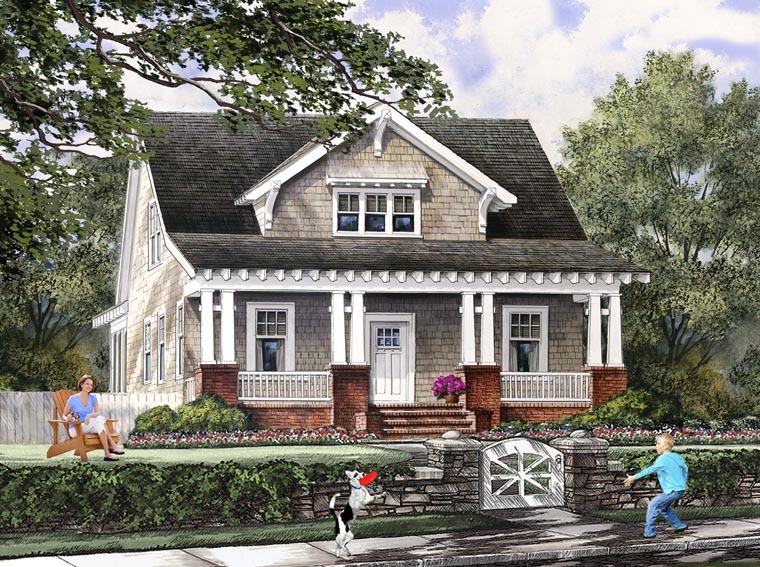 Question: Would it be possible to see the side elevations for this house? 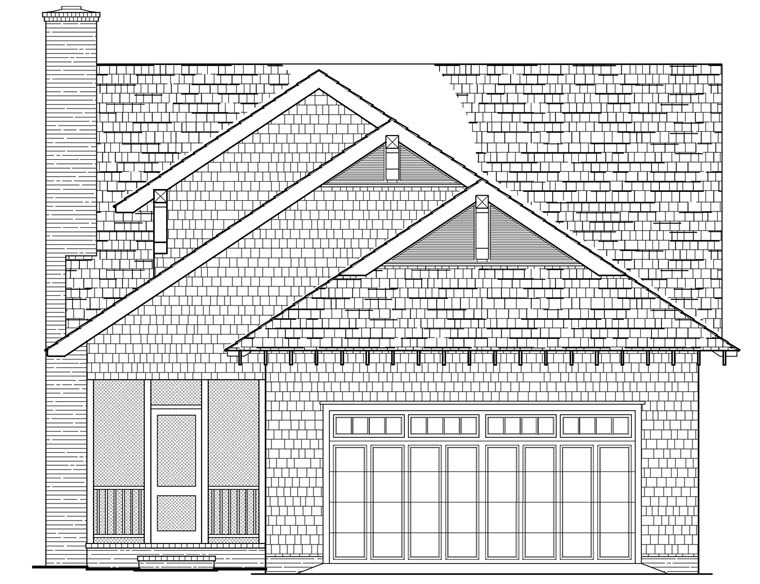 The rendering does not appear to match the floor plan, as it shows the sun porch on the opposite side and the window count is not the same. If the rendering was for a modified design, can I see the floor plan that goes with the rendering? Answer: The rendering the was done before the floor plans were completed. The rendering is an accurate depiction of size and scale. But yes, the window count it off. There is not another floor plan to send. We do not offer side elevations to view other than in the office. If you have any questions, please let me know. Question: Does this come with an attic that can be turned into either another den or bedroom?? Answer: Due to the roof line, the attic space is not large enough to have a bedroom. There is a huge rec room and storage area though. Click Here to download a free PDF Brouchure of Plan Number 86121.